Without a doubt, Cloverfield 3 and Jurassic World: Fallen Kingdom are two of the most anticipated movies on the 2018 calendar. And with both of them quickly approaching their release dates (April 20th and June 22nd, respectively), it only makes sense for the marketing machines for each pic to kick into gear, right? Granted, we have already seen the first trailer for Fallen Kingdom, but the next film in the J.J. Abrams-produced horror/thriller series has been shrouded in much secrecy and we’re beyond eager to get a look at it. Thankfully, it sounds like we’ll be able to do that quite soon, as Deadline believes that trailers for both movies will arrive next week, during the Super Bowl. Alongside releases like The Incredibles 2 and Avengers: Infinity War, the blockbusters will be showcased in all their glory, allowing for maximum exposure given how big the audience tuning in for the game will be. What exactly the previews will feature is obviously unknown, but it’s undoubtedly Cloverfield 3 that’s the more intriguing of the two. Don’t get us wrong, we’re looking forward to Fallen Kingdom just as much as the rest of the world is, but we pretty much know what to expect already. The same can’t be said about Julius Onah’s upcoming pic, though. 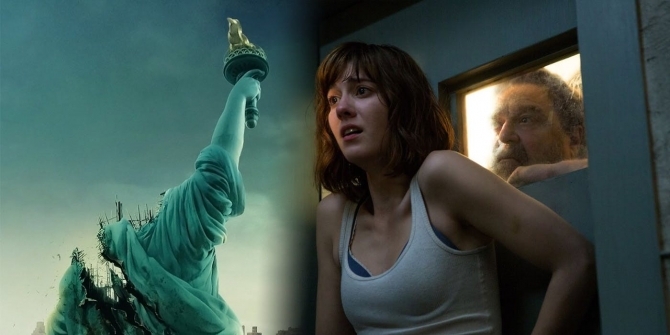 As is always the case with Cloverfield movies, things have been played very close to the vest with it. In fact, we’re not even sure what it’ll be called yet. Cloverfield Station – a far cry from the original title, God Particle – is what’s been rumored though, with fans believing it’s a direct nod to the ISS-like laboratory on which Onah’s thriller takes place. Or at least, that’s what we can gather from the below plot synopsis. A crew aboard a space station finds itself alone after a scientific experiment causes the Earth to disappear. When a space shuttle appears, the space station’s crew must determine if it is carrying friends or foes. Sounds intriguing, right? It’s sure to be another well crafted and engaging piece of cinema from the folks at Bad Robot and we can’t wait to see both Cloverfield 3 and Jurassic World: Fallen Kingdom ushered into the spotlight next Sunday.